AND I WILL PUT HATRED BETWEEN YOU satan, AND THE WOMAN ISRAEL, AND BETWEEN YOUR OFFSPRING AND HER OFFSPRING. Our teaching from Torah, The Law of Moses will continue from Numbers 28.1-4 and 9-15. AND THE TITLE OF OUR MESSAGE IS, AND I WILL PUT HATRED BETWEEN YOU satan, AND THE WOMAN ISRAEL, AND BETWEEN YOUR OFFSPRING AND HER OFFSPRING. And with that said, let’s read Numbers 28.1-4 and 9-15. There is a Jewish tradition that says, Because one day with the LORD is as a thousand years, some compare the world’s existence and the Messianic Era to the seven day week, of a thousand years for each day. Or a week of seven thousand years. That is to say, the world will exist for six thousand years. And then the world will end as we know it. And the Messianic Era will arrive for one thousand years. The tradition follows that on the seventh day, or after six thousand years from Creation, The one thousand year Messianic Kingdom on earth in Israel with Messiah will arrive. Also known as the one thousand year Millennium. So this Rabbinic tradition says that the world will exist for six thousand years and then the Messianic Era will arrive for one thousand years. Tradition continues, that the first two thousand years from the Creation to Abraham were void and empty. Void and empty, meaning Spiritually empty without Torah. The world was Spiritually empty without GOD’S Laws, Teachings and Instructions that are written in Torah, The Law of Moses. The second two thousand years are with Torah, The Law of Moses. And the third two thousand years, the period of 4,000 to 6,000 years from Creation is the time the Jewish Messiah will arrive. And the Jewish Messiah did arrive in the Person of Messiah Yeshua. His birth is dated at 4,004 years after Adam. But Jewish tradition also says that Messiah’s delay is because of our sins, the sins of the Jewish People. When in fact The Messiah Yeshua did come because of our sins. He came to be our atonement for the forgiveness of our sins. As the Prophet Isaiah says in Isaiah 53.10, When You (LORD GOD) shall make His Soul (Messiah Yeshua) an offering for sin. So Messiah did come according to this Rabbinic tradition. But to this day, much of Judaism fails to recognize that the Jewish Messiah came in the Person of the Messiah Yeshua Who Himself is THE LORD GOD ALMIGHTY, HA SHEM ELOHIM. And then Jewish tradition says, the end will come. The end of the world as we know it will come six thousand years after the Creation. Followed by the Messianic Era of one thousand years. The Messianic Era is the one thousand year Messianic Kingdom on earth in Israel with The Messiah. The Jewish Calendar starts from the Creation. So according to the Jewish Calendar, we are in the year 5,777. Or 5,777 years from the Creation. Of course not all people will agree with that number. 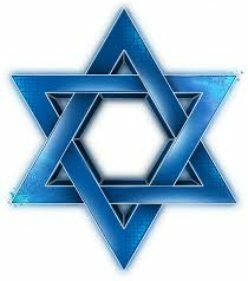 But in my eyes, and I think many others, the Jewish Calendar may not be exact, but I believe they are close, seeing all the evil that is happening around the world these days. If the end of the world comes 6,000 years from the Creation, followed by the Messianic Era, we are close to the end, and Messiah’s Return. And His establishment of the Messianic Kingdom in Israel for one thousand years. And Israel’s borders will expand greatly according to her GOD-given borders from a River in Egypt to the great river, the Euphrates River. (ISAIAH 7.14) IMMANUEL in Hebrew means WITH US IS GOD. So One day is with The LORD as a thousand years to you and me. And a thousand years as one day to The LORD..
(MATTHEW 24.29-30) Messiah’s Return will be immediately after the great tribulation, and immediately after He destroys all the Nations and their armies that battle Jerusalem. The Title of our Message is, And I will put hatred between you satan, and the Woman Israel, and between your offspring and her offspring. GENESIS 3.15. That prophesy of anti-Semitism in Genesis 3.15 of satan’s demonic offspring killing and slaughtering Jews has been playing out for thousands of years. And in time, anti-Semitism will bring this world to an end when the LORD GOD brings all the nations against Jerusalem to battle. And that’s when the Messianic Era of one thousand years will begin in Israel with Messiah reigning over all the earth from Jerusalem. Anti-Semitism began 3,800 years ago when the Egyptians killed numerous Israeli male children at birth in Egypt, and put the Children of Israel under four hundred years of slavery. And anti-Semitism continues with continuous wars with the Arabs against Israel and the Jewish People. And hundreds of years of anti-Semitic pogroms that slaughtered thousands of Jews throughout Europe and Russia. Add to that the Crusades, the Inquisitions, and the Holocaust. And today, satan and his demonic offspring of demonic people continue their demonic attacks on Jewish People in Israel and throughout the world, even in our Universities. A Prophet is one who receives the Words that GOD speaks to him or her, and then the Prophet tells the People those Words GOD spoke. Behold, The Day of The LORD comes, and your spoil shall be divided in the midst of you. For I will gather all Nations against Jerusalem to battle. The City shall be captured. The houses plundered, and the women violated. And part of the City shall go into exile. But the rest of the population shall not be uprooted. Then shall The LORD go forth and fight against those Nations when He fought in the day of battle. And His Feet shall stand in that Day upon the Mount of Olives which is before Jerusalem on the east. And the Mount of Olives will bust open in the midst of it, toward the east and toward the west. And there shall be a very great valley. And half of the mountain shall move toward the north, and half of it toward the south. And you shall flee to the valley of the mountains. AND THE LORD MY GOD SHALL COME, AND ALL HIS HOLY ONES WITH HIM. AND THE LORD, MESSIAH YESHUA SHALL BE KING OVER ALL THE EARTH. IN THAT DAY THERE SHALL BE ONE LORD WITH ONE NAME. And there shall be no more curse, but Jerusalem shall be safely inhabited. And this shall be the plague wherewith The LORD will strike all the people that fought against Jerusalem. Their flesh shall consume away while they stand upon their feet. And their eyes shall consume away in their holes. And their tongue shall consume away in their mouth. And the wealth of all the heathen round about shall be gathered together, gold and silver, and apparel in great abundance. And it shall come to pass that everyone that is left of all the Nations that came against Jerusalem shall even go up to Jerusalem from year to year to worship The King, THE LORD OF HOSTS, and keep the Feast of Tabernacles. And it shall be, that whoso will not come up to Jerusalem of all the families of the earth to worship The King, THE LORD OF HOSTS, even upon them shall be no rain. This will be the punishment of Egypt and all the nations that do not come up to Jerusalem to worship The KING, THE LORD OF HOSTS. There will be a plague wherewith The LORD will strike the Nations that do not come up to Jerusalem to keep the Feast of Tabernacles. In that day, even the bells of horses shall be inscribed, HOLINESS TO THE LORD. The metal pots in the House of The LORD shall be like the bowls before the altar, Yes, every pot in Jerusalem and in Judah shall be Holy to The LORD OF HOSTS. And all those who sacrifice shall come and take of these to boil their sacrificial meat in. In that Day there shall be no more merchants in the House of The LORD. That will be the beginning of the seventh day of the week, One thousand years with Messiah Yeshua that will be entirely Shabbat. A time of Rest. A time of Peace. A time of Health, and a time of Joy. And the time of the Marriage Supper of The Lamb. A time where the wolf also shall dwell with the lamb, and the leopard shall lie down with the kid. And the calf and the young lion and the cattle together. And a little child shall lead them. And the cow and the bear shall feed. Their young ones shall lie down together. And the lion shall eat straw like the fox. And the nursing child shall play on the hole of the cobra. And the weaned child shall put his hand on the serpent’s den. They shall not hurt or destroy in all My Holy Mountain, Saith The LORD. During the Messianic Era of one thousand years, Jerusalem will be the center of the world and the City from which The LORD GOD, HA SHEM ELOHIM, MESSIAH YESHUA will Reign over all the earth. Where the ransomed of The LORD will return, and come to Zion with songs and everlasting joy upon their heads. They will obtain joy and gladness, and sorrow and sighing will flee away forever. Our study in Numbers 28.9-15 and GOD’S teachings throughout the Chapter, and Numbers 29, speak of the New Moon sacrifices, and the Festivals of The LORD which are The Seventh Day Sabbath on Saturday, The Passover, The Feast of Weeks, that is also called Pentecost, The Feast of Trumpets that Judaism calls Rosh Hashannah, the New Year. And the Day of Atonement, and the Feast of Tabernacles. All these Festivals should be observed by all mankind because they are GOD’S Festivals. But so few people in the world obey GOD. So few people observe GOD’S Commanded Festivals. So few observe GOD’S Holy Sabbath, The Seventh Day of the week on Saturday. So few observe GOD’S Passover, or The Feast of Weeks, which is Pentecost, or in Hebrew Shavuot. So few observe GOD’S Feast of Trumpets that Judaism calls Rosh Ha Shannah, the New Year. So few observe The Day of Atonement. And so few celebrate the Feast of Tabernacles, called in Hebrew Sukkot. HOW RESPECTED AND LOVED IS THE GOD OF HEAVEN AND EARTH? Today we see global anti-Semitism and Jew hatred spread throughout the world as never before. Anti-Semitism is more global today than it was during the World War Two era of Nazi Germany. I read that it will not be long before extremist anti-Semitic Parties in Europe, which now have a great deal of power, will become the ruling European Parties. And that will lead to a mass exodus of Jewish People out of Europe. The other day I read about an International Conference that will take place in Ireland on March 31st that will debate Israel’s right to exist. Can you imagine that? A debate on Israel’s right to exist. When Messiah entered into a boat, His Disciples followed Him. And a great storm on the sea came upon them. And the boat was covered with waves. But Messiah was asleep. And His Disciples came to Him, and awoke Him, and said, LORD, Save us or we’ll all perish. And Messiah said to them, Why are you frightened, O you of little faith? And He rose up and rebuked the winds, and the sea. And there was a great calm. But the men marveled, saying, What manner of Man is this that even the winds and the sea obey Him? We know what manner of Man He is. He is MESSIAH YESHUA, GOD ALMIGHTY, HA SHEM ELOHIM. Posted on March 26, 2017 March 26, 2017 Categories Shabbat MessageLeave a comment on AND I WILL PUT HATRED BETWEEN YOU satan, AND THE WOMAN ISRAEL, AND BETWEEN YOUR OFFSPRING AND HER OFFSPRING. ONE DAY WITH THE LORD IS AS A THOUSAND YEARS TO YOU AND ME. Our teaching will continue from Torah, The Law of Moses, from Numbers 28.1-8. AND THE TITLE OF OUR MESSAGE IS, ONE DAY WITH THE LORD IS AS A THOUSAND YEARS TO YOU AND ME. And with that said, let’s read Numbers 28.1-8. The reason for the existence of the Jewish People, and the special relationship that GOD has entered into with the Jewish People is for His People to Sanctify The LORD Forever, and make His Name Holy. And GOD chose the Jewish People to give evidence and witness to the World that GOD exists. And to reveal to all mankind through the Spoken Word of GOD in The Bible from Genesis through Revelation, written by Jewish People, THAT THERE IS ONLY ONE GOD AND NO OTHERS. And to tell the world through The Bible of GOD’S Greatness. And GOD chose the Jewish People, Speaking directly to them, to give the world The Bible that has the Spoken Word of GOD that includes all GOD’S Laws, Teachings and Instructions written in The Law of Moses for all people everywhere to live their lives, for their good. Our Study today reviews GOD’S animal sacrifices made by fire during Tabernacle and Temple times. Of course The LORD GOD forbids animal sacrifice today because there is no Temple in Jerusalem. However The Bible teaches that The LORD has replaced the animal sacrifice, including the animal sacrifice for atonement with Messiah Yeshua’s Atoning death. GOD can never die. He is from Everlasting to Everlasting. That is to say that GOD lives forever. He has no beginning and no end. HOWEVER MESSIAH YESHUA WAS A HUMAN BEING LIKE YOU AND ME WHEN HE GAVE HIS LIFE FOR OUR ATONEMENT BECAUSE GOD LEFT MESSIAH’S HUMAN BODY AS WRITTEN IN PSALM 22.1, MY GOD, MY GOD, WHY HAVE YOU FORSAKEN ME? Returning to our Study in Numbers 28, Just prior to entering the Promised Land, the Land of Canaan, The LORD spoke to Moses about His required sacrifices made by fire, and The Festivals of The LORD. I THINK IT’S IMPORTANT TO NOTE THAT GOD OFTEN REVIEWS HIS LAWS, TEACHINGS, AND INSTRUCTIONS THROUGHOUT THE BIBLE. And our study in Numbers 28.1-8 teaches that GOD’S Sacrificial offerings made by fire were offered daily. While later in this Chapter, The Commanded Festivals of The LORD are held at The LORD’S appointed times throughout the year. DURING TABERNACLE AND TEMPLE TIMES, THE ANIMAL SACRIFICE FOR ATONEMENT WAS FOR THE CHILDREN OF ISRAEL AND ALL NON-JEWISH PEOPLE WHO WERE LIVING AMONG THE CHILDREN OF ISRAEL. LEVITICUS 17.8,11-16, ETC. Today, however, without the Temple in Jerusalem, GOD made the Atoning death of The Jewish Messiah Yeshua the sin offering and Atonement for all Peoples, Nations and Languages. The Church uses the Jewish Bible from Genesis through Revelation to preach and teach. But obedience to all GOD’S Laws that are written in The Law of Moses is rejected by the Church. Because Christianity has abolished GOD’S Law of Moses, and sees its own gospel as the fulfillment of the Old Testament and the fulfillment of GOD’S Laws that are written in The Law of Moses. That is wrong. The Words from Numbers 28.1-8 that speak of GOD’S sacrificial offerings made by fire were spoken by GOD directly to Moses some 3,400 years ago. With GOD, it’s as though He spoke those Words a few days ago, because GOD’S time is different than our time. For The Bible says, With GOD a thousand years in His sight are as yesterday. And one day with The LORD is as a thousand years to a human being. PSALM 90.4, 2 PETER 3.8. Even though GOD put all His Laws into effect some 3,400 years ago, with GOD it’s as though He Spoke His Laws into effect a few days ago. And with GOD, His Return is near, even at the door, because one day with The LORD is as a thousand years to you and me. Keeping in mind that The Word of GOD written in The Bible stands forever. GOD’S Word never changes. Nor does GOD’S Word ever end. Nor does GOD ever change. Nor does GOD ever change His Mind. And The Word of GOD written in The Bible includes the animal sacrifice for atonement when there is a Temple in Jerusalem. And there will be a Temple in Jerusalem during the one thousand year Messianic Kingdom on earth in Israel, the Millennium, when Messiah returns. As a point of information, the only people whom GOD saved in the flood in Noah’s day were Noah and his family. Eight people. Noah and his wife. And their three sons and their wives. Why? Because Noah was a Righteous man. He walked with GOD. That is Noah obeyed GOD. GENESIS 6.8-9, GENESIS 7.1-5. Noah obeyed all GOD’S Laws. He was a Righteous man. And Noah and his family were not Jewish. They were Gentiles, non-Jewish People. GOD created the Jewish People from Abraham, who was from the seed of Shem, Noah’s son well after the flood. NUMBERS 28.1-4 The animal sacrifices made by fire were offered to The LORD in due season. Due season in Hebrew is MO’ADE meaning GOD’S Appointed Time. Two lambs of the first year, perfect and without spot were offered daily for a continual burnt offering. One lamb was offered in the morning, and the other lamb was offered in the evening. NUMBERS 28.5 An Ephah is twenty-one quarts. A tenth part of an Ephah of flour is two and one tenth quarts of flour. A hin is one gallon. Thus the flour is mingled with one-fourth part of a hin of beaten olive oil, which is one quart of beaten olive oil. So the grain offering consists of two and one tenth quarts of flour mingled with one quart of beaten olive oil. I will not test you on this. CONTINUAL in Hebrew, As in a Continual Burnt Offering to The LORD is TAH’MEED meaning, Daily, Perpetual, Continual, and Forever. When The Temple is standing in Jerusalem. NUMBERS 28.7 The Drink Offering is for a Sweet Savor to The LORD. And the Drink Offering to The LORD consisted of one quart of strong wine for each lamb in the Holy Place, that is in The Tabernacle or The Temple. NUMBERS 28.9 The same Rules applied to the other lamb that was offered in the evening along with the grain offering. It was a continual burnt offering for a Sweet Savor to The LORD. A sacrifice made by fire. And the drink offering of strong wine poured to The LORD. Messiah’s Atoning death took place in Jerusalem some thirty-seven years before the Roman General Titus destroyed The Temple in Jerusalem in 70 C.E., A.D. leaving The Temple in ruins. And without The Temple, the Priesthood ceased to exist. And the sacrifice stopped. But The LORD GOD never left His People without the means for Atonement. That was Messiah Yeshua’s purpose for His coming two thousand years ago. To be our Atonement. These are the Words that THE LORD GOD Spoke to the Prophet Jeremiah seven hundred years before Messiah’s first coming. BEHOLD THE DAYS COME, SAITH THE LORD, THAT I WILL MAKE A NEW COVENANT WITH THE HOUSE OF ISRAEL, AND WITH THE HOUSE OF JUDAH. NOT ACCORDING TO THE COVENANT THAT I MADE WITH THEIR FATHERS IN THE DAY THAT I TOOK THEM BY THE HAND TO BRING THEM OUT OF THE LAND OF EGYPT WHICH MY COVENANT THEY BROKE. (THAT IS GOD’S WORD AND HIS LAWS WRITTEN IN TORAH, THE LAW OF MOSES, THEY BROKE). ALTHOUGH I WAS A HUSBAND TO THEM, SAITH THE LORD. BUT THIS SHALL BE THE COVENANT THAT I WILL MAKE WITH THE HOUSE OF ISRAEL. AFTER THOSE DAYS, SAITH THE LORD, I WILL PUT MY LAW (TORAH, THE LAW OF MOSES) IN THEIR INWARD PARTS, AND WRITE IT IN THEIR HEARTS (TO OBEY THEM). AND NO MORE SHALL EVERY MAN TEACH HIS NEIGHBOR, AND EVERY MAN TEACH HIS BROTHER, SAYING, KNOW THE LORD, FOR THEY SHALL ALL KNOW ME (IN THE MESSIANIC KINGDOM ON EARTH IN ISRAEL, THE ONE THOUSAND YEAR MILLENNIUM) FROM THE LEAST OF THEM TO THE GREATEST OF THEM, SAITH THE LORD. THAT IS WHY MESSIAH CAME THE FIRST TIME TWO THOUSAND YEARS AGO. TO MAKE AN ATONEMENT FOR THE SOULS OF ALL MANKIND. TO BE GOD’S NEW COVENANT TO FORGIVE OUR INIQUITY AND REMEMBER OUR SINS NO MORE. But remember what GOD says in Isaiah 56.6-7. Everyone who keeps My Sabbath (On Saturday, the seventh day of the week), and takes hold of My Covenant (GOD’S Word and all His Laws that are written in The Law of Moses) even them will I bring to My Holy Mountain (Jerusalem in the Millennium) and make them joyful in My House of Prayer (The Temple). Their burnt offerings and their sacrifices will be accepted upon My altar. (FOR YOU AND ME TODAY, THAT MEANS OUR ATONEMENT IN MESSIAH YESHUA WILL BE ACCEPTED). For My House shall be called a House of Prayer for all People. Posted on March 19, 2017 March 20, 2017 Categories Shabbat MessageLeave a comment on ONE DAY WITH THE LORD IS AS A THOUSAND YEARS TO YOU AND ME. Our Message today is about Purim, a Jewish Holiday that celebrates the Deliverance of the Jewish People of the Great Persian Empire 2,500 years ago from death and extermination. AND THE TITLE OF OUR MESSAGE IS, THE STORY OF PURIM FROM THE BOOK OF ESTHER. And with that said, let’s read Esther 1.1-3. Ahasuerus was the King of Persia who reigned over The Great Persian Empire 2,500 years ago. Ahasuerus is usually identified as The Persian King Xerxes 1. He was all powerful and totally inept. But he became a hero to the Jewish People. Persia is today’s Iran. And Media today is the northwestern part of Iran that includes Teheran. The Great Persian Empire was from India to Ethiopia. The countries within the Empire were Iran, India, Nepal, Pakistan, Afghanistan, Turkey, Saudi Arabia, Yemen, Syria, Iraq, Israel, Lebanon, Jordan, Egypt, Sudan, and Ethiopia. And many Jewish People were living in those Countries 2,500 years ago, especially in Persia. The story of Purim can be traced from its beginnings to party time in Persia in King Ahasuerus’ Palace of luxurious excess. The King made a feast to all his Princes and Servants. To all the Power of Persia and Media. And for all the Nobles and Princes of the one hundred and twenty seven Provinces of his Kingdom. Party time in Persia with King Ahasuerus. And King Ahasuerus showed his guests the riches of his glorious Kingdom, and the honor of his excellent majesty for one hundred and eighty days. Six months of partying. There were white, green, and blue hangings, fastened with cords of fine linen and purple to rings and pillars of marble. Sofas and couches were of gold and silver on a pavement of red, blue, white and black marble. And they drank in vessels of gold. All different one from another. And there was plenty of royal wine that kept pouring according to Persian Law. No restrictions. And the Queen, Queen Vashti made a feast for the women in the Royal House that belonged to King Ahasuerus. And The Bible says, on the seventh day when the King’s heart was merry with wine, he commanded his seven eunichs to bring his Queen Vashti before him wearing her Royal Crown to show the people and the Princes her beauty. For Queen Vashti was a beautiful woman. But the Queen refused to come. And when the King was told that his Queen rejected him, well, the King went nuts. And the King asked his wise men, What shall we do to Queen Vashti according to law because she has not performed the commandment of the King? And one of the King’s Royal advisers said, this matter might cause a national crisis. Vashti the Queen has not done wrong to the King only, but also to all the Princes, and to all the people who are in the Provinces of the King. For the Queen’s behavior will make all wives despise their husbands. And there will be no end to this scorn and contempt from the wives of the King’s Princes. If it pleases the King, let there be a Royal edict from him. And let it be written among the laws of the Persians and the Medes and not altered that Queen Vashti shall never enter the presence of King Ahasuerus. And let the King give her Royal estate to another who is more worthy than she. Goodbye Queen Vashti. Hello to our Jewish Queen, Queen Esther whom The LORD GOD ordained for this time to deliver His Jewish People from death and destruction. And the King liked that idea. And he had letters sent to all the King’s Provinces throughout his Kingdom that every man should bear rule in his own house. So the King’s advisers said to him, let all the beautiful young virgins of the Kingdom be sought out for Your Majesty. And let Your Majesty appoint officers in every Province of your Kingdom to assemble all the beautiful virgins to the Shushan Palace to the custody of Hege, the King’s eunich who was the guardian of the women. And let them be provided with their cosmetics. And let the beautiful maiden who pleases the King be Queen instead of Vashti. And the King loved that idea. And working in the Shushan Palace was a certain Jew by the name of Mordecai, from the Tribe of Benjamin. Mordecai was carried away from Jerusalem with the captivity into exile by King Nebuchadnezzar the King of Babylon. And he brought up Hadassah, Esther’s Hebrew name. Esther was the daughter of Mordecai’s uncle. For Esther had neither father or mother. And Esther was beautiful. When Esther’s parents died when she was young, Mordecai took her for his own daughter. So, when the King’s edict was heard that the King was seeking another Queen instead of Vashti, many beautiful young women were brought to the King’s Palace for the beauty contest to be Queen of Persia. And Mordecai brought Esther to the King’s Palace to the custody of the eunich Hegai, the custodian of the women. And Esther pleased Hegai the eunich. And he gave her cosmetics and things for purification, and seven maidens from the King’s Palace to care for her. And the eunich treated Esther with special kindness. But Esther told no one that she was Jewish because Mordecai told her to keep her identity silent. And every day, Mordecai would walk before the court of the women’s house to learn how Esther was doing and what was becoming of her. And Esther won the admiration of all who looked after her. And after twelve months of cosmetics and purification, each young woman was sent to the King. And Esther also was taken to the King into his Royal House. And the King loved Esther above all the other women. And the King set the Royal Crown on Esther’s head and made her Queen instead of Vashti. And the King made a great feast to all his Princes and his servants. It was the Banquet of Esther. And the King made a release, perhaps of taxes, and gave gifts to the people. Now, one day while Mordecai was sitting at the King’s Gate, his office at the King’s Court in the Palace, two of the King’s eunichs were angry with King Ahasuerus and were plotting to kill him. But Mordecai overheard the plot, and he told Esther the Queen, and Esther reported it to the King. And they were both hanged on a tree. And the King had the event recorded in The Book Of The Chronicles. So Haman, the demon and liar that he was, said to King Ahasuerus, There is a certain People in your Kingdom, and their laws are different from all people. And they do not keep the King’s laws. Therefore it is not for the King’s profit to let this people live. And Haman said, I will pay ten thousand talents of silver, about three hundred and thirty three tons of silver to the King’s treasuries for those who do the killing. So the King and Haman sat down to drink. How dumb is this Persian King. And how twisted are anti-Semites? When Mordecai heard of the plot to kill all the Jews in the Empire, he tore his clothes and put on sackcloth with ashes and went out into the City and cried bitterly. And he came before the front of the King’s Palace. But no one was allowed into the Palace clothed with sackcloth. And in every Province where the King’s edict came to kill the Jews on the thirteenth day of Adar, there was a great mourning among the Jewish People, and fasting, and weeping and wailing. And many lay in sackcloth and ashes. And Esther’s servants came and told her about Mordecai. And she was concerned about her uncle and sent him clothing. But he refused. And Queen Esther sent one of her servants to find out what the problem was. And her servant went to Mordecai in the street. And Mordecai told him of Haman’s plot to kill all the Jews in the Kingdom. And Mordecai gave him a copy of the writing of the decree to kill the Jews. And he told Esther’s servant, Tell Esther of the edict, and tell her to go to the King and plead for her people. But when Esther heard Mordecai’s words, she told her servant to tell Mordecai that anyone who comes to the King without being called is put to death. But Mordecai told Esther’s servant, Tell Esther, don’t think that you will escape in the King’s house more than all the other Jews. Because if you remain silent at this time, then relief and deliverance to the Jewish People will come from somewhere else. But you and your father’s family will be killed. And who knows whether you are come to the Kingdom for such a time as this? When Esther heard Mordecai’s response, she told her servant to return to Mordecai with this answer. Go and gather all the Jewish People that live in Shushan, and fast for me. Don’t eat or drink for three days, night or day. And I also and my maidens will fast. And then I will go the King which is not according to law. And if I die, I die. So Mordecai left and did as Esther commanded him. So after three days of fasting, Esther put on her royal apparel and stood in the inner court of the King’s house. And the King sat on his royal throne in his Royal House in his throne room facing the entrance of the Palace. And the King, because he loved his Queen Esther, held out his golden scepter and invited her to him. What troubles you Queen Esther, and what is your request? Even to half the Kingdom it shall be granted to you. And Esther answered, Let your Majesty and Haman come today to the feast that I have prepared for him. And the King turned to his servants and said, Tell Haman to hurry and do as Queen Esther has said. So the King and Haman came to the banquet that Queen Esther had prepared. And again the King said to Queen Esther at the banquet of wine, What is your petition and it shall be granted to you? And what is your request? Even to half of the Kingdom it shall be performed. And Esther answered and said, My petition and my request is, if I have found favor in the sight of the King, and if it pleases the King to grant my petition and to perform my request, let the King and Haman come to the banquet that I shall prepare. And I will do tomorrow as the King has said. And Haman left, jumping for joy. But when Haman saw Mordecai, and Mordecai would not stand for him, nor even move for him, Haman hated Mordecai even more. So Haman went home and he called for all his friends and his wife Zaresh. And Haman boasted of his glory and his riches, and the large number of children he had, and his promotion by the King. And now he was higher than all the Kings, Princes and servants. And he told them that Esther the Queen just had he and the King to her banquet. But he said, Yet all this means nothing to me as long as I see Mordecai the Jew sitting in the Palace gate. Then his wife and all his friends said to him, Let a gallows be made of eighty feet high, and tomorrow speak to the King that he hang Mordecai on it. Then go happily with the King to the banquet. And Haman had the gallows built. On that night, The Bible says, the King could not sleep. And he commanded that The Book Of Records Of The Chronicles be brought to him. And it was found that Mordecai had told of the plot to kill the King. And the King asked, what honor and dignity has been done to Mordecai for this? And his servants said, there is nothing done for him. And the King asked, who is in the Court? Now Haman had come to the outer Court of the King’s House to speak to the King about hanging Mordecai on the gallows that he prepared for him. Poor Haman. What a jerk he is. And the King’s servants told him, Haman stands in the Court. Let him come in, the King said. And the King asked Haman, What shall be done to the man whom the King delights to honor? Haman thought the King was talking about him. Let him wear royal apparel that the King has worn, Haman said. And have him ride the horse that the King rides, and set a royal crown on his head. And bring him on horseback through the city. And have one shout, Thus shall it be done to the man whom the King delights to honor. Good, the King said, Do as you have said to Mordecai the Jew. And Haman dressed Mordecai with royal apparel and brought him through the streets of the city on the King’s horse shouting, thus shall it be done to the man whom the King delights to honor. And after Haman’s crushing fall, he ran home with his head covered and told his wife and his friends of his dilemma. And they said to him, If Mordecai is of the seed of the Jews, before whom you have begun to fall, you shall not prevail against him, but you will surely fall before him. And while they were still talking, the King’s eunichs arrived at Haman’s house and swiftly brought Haman to the banquet that Queen Esther had prepared. So the King and Haman came to Queen Esther’s banquet. And the King said again to Esther, What is your petition Queen Esther, and it shall be granted. And what is your request, and it shall be performed even to half of the Kingdom. And Queen Esther answered, If Your Majesty will do me the favor, and if it pleases Your Majesty, let my life be spared as my wish, and my People as my request. For we have been sold, my People and I, to be destroyed, massacred, and exterminated. Had we been only sold as bondmen and bondwomen, I would have kept silent, for the adversary is not worthy of the King’s trouble. Who is he, and where is he who dared to do this, the King asked? And Esther said, The adversary and enemy is this wicked Haman. Then Haman became terrified before the King and Queen. And the King rose from the banquet of wine in great anger and went into the Palace garden. And Haman stood up pleading to Queen Esther for his life, falling on the couch where the Queen was sitting. And the King returned only to see Haman lying prostrate on the couch where Esther was. And the King shouted, Will he force the Queen also in my own house? And as the King spoke, they covered Haman’s face. Then one of the King’s servants said, The gallows, eighty feet high which Haman made for Mordecai, the man whose words saved the King. And the King shouted, Hang him on it. So they hung Haman on the gallows that he had prepared for Modecai. And the King’s fury was stilled. On that very day, King Ahasuerus gave the property of Haman, the enemy of the Jews, to Queen Esther. And Mordecai presented himself to the King. And the King slipped off his ring that he had taken back from Haman and gave it to Mordecai. And Queen Esther put Mordecai in charge of Haman’s property that was huge. Haman is gone but the decree to kill the Jews remains in force. And Esther fell at the King’s feet pleading with him to stop the evil that Haman plotted against the Jewish People. But the King said to Queen Esther and Mordecai, An edict written in the King’s name can no man reverse. But you may write in the King’s name as you see fit and seal it with the King’s signet ring for an edict that cannot be changed. So Mordecai wrote in the King’s name and sealed it with the King’s signet ring and sent letters by horseback and every mode of carrier to all the people in every City that the Jewish People were to stand together and fight for their lives. To destroy and kill all who attack them. And to take the spoil of them for a prey. And when the Jewish People received that news, there was joy and gladness among the People, and a feast and a holiday. And many of the people of the land became Jewish, for the fear of the Jews fell upon them. Now on the thirteenth day in the twelfth Hebrew Month Adar, (today) the day the enemies of the Jews were to kill the Jewish People, the opposite happened. The Jews killed their enemies. The Jewish People gathered together to defend themselves against those that hated them, and they killed those who sought to kill them. And the Rulers of the Provinces, and the Lieutenants, and the Deputies and Officers of the King helped the Jewish People because the fear of Mordecai fell upon them. For Mordecai was great in the King’s house, and his fame went out throughout all the Provinces of the great Persian Empire, for this man Mordecai grew greater and greater. And the Jews killed their enemies with stroke and sword and slaughter and destruction and did what they would to those who hated them. And the Jews were victorious over their enemies. And the number of those that the Jews killed, plus Haman’s ten sons were 75,000. But the Jewish People took none of their belongings. And this happened on the thirteenth day of the Hebrew Month Adar which is today the evening of Purim. And on the following day, the fourteenth day of the Hebrew Month Adar, the Jewish People rested and made it a day of feasting and gladness, and an occasion for sending gifts to one another and presents to the poor. Therefore the Jewish People called these days Purim because Haman the Jew hater had tossed pur. Pur in Hebrew is lot, the lot tossed with the intent to destroy the Jewish People. And credit for saving the Jewish People is given to the Jewish Queen Esther and King Ahasuerus. BUT ALL THE CREDIT IS GIVEN TO THE MIGHTY GOD, THE EVERLASTING FATHER, THE GOD OF ISRAEL, THE GOD OF ABRAHAM, ISAAC, AND JACOB, HA SHEM ELOHIM, THE MESSIAH YESHUA. And Mordecai the Jew ranked next to King Ahasuerus and was highly regarded by the Jewish People, and popular with the multitude of his brethren. He sought the good of his People and interceded for the welfare of all his kindred. MOSES LAYS HIS HANDS ON JOSHUA TO BECOME HIS SUCCESSOR. Our teaching from Torah, The Law of Moses will continue from Numbers 27.12-23. AND THE TITLE OF OUR MESSAGE IS, MOSES LAYS HIS HANDS ON JOSHUA TO BECOME HIS SUCCESSOR. And with that said, let’s read Numbers 27.12-23. NUMBERS 27.12 Mount Abarim is a mountain range in Moab, today’s Jordan. The time is the fortieth year of the Exodus from the time the Children of Israel left Egypt after four hundred years of Egyptian slavery for the Promised Land. And the People were at the door step of Canaan, their God given Land that they would conquer for their Everlasting Homeland, The Land of Israel. That was 3,400 years ago. Mount Abarim overlooks the Dead Sea. And the mountain rises to a height of some 4,000 feet above the Dead Sea. And this is where the Children of Israel were camped, at the foot of Mount Abarim. Mount Nebo is in the Abarim range from where Moses viewed all the land of Canaan. NUMBERS 33.47-48, DEUTERONOMY 32.48-49, DEUTERONOMY 34.1-6. DEUTERONOMY 34.1 Pisgah is connected to Mount Nebo and part of the Abarim mountain range. NUMBERS 27.13 And GOD told Moses, When you have seen the Land, you also will be gathered to your People as Aaron your brother was gathered. I believe that GOD’S Words spoken to Moses, You also will be gathered to your People as Aaron your brother was gathered, means, Moses was gathered to his People who are Abraham, Isaac, and Jacob and others of his Jewish family who are in Heaven. That is life after death. On the other hand, if a person dies and is headed to hell where some family members are, that person is gathered to their people in hell. Life after death in Heaven or hell. NUMBERS 27.13-14 The time is near that Moses is about to die. The Lord told Moses, The reason you will die, Moses, and not go into the Land which I promised to the Children of Israel for an Everlasting Possession is because you did not believe Me and rebelled against My Commandment in the desert of Zin (in the wilderness of Sinai) in the strife of the Congregation, to Sanctify Me at the water before their eyes. THE WORD SANCTIFY IN HEBREW IS KAH’DEHSH MEANING HOLY. GOD SAID TO MOSES AND AARON, YOU DID NOT BELIEVE ME TO SANCTIFY ME BY YOUR DISOBEDIENCE. MOSES AND AARON DID NOT REGARD THE LORD AS HOLY AS THE LORD GOD IS HOLY. BUT RATHER THEY DISHONORED THE LORD WHEN THEY DISOBEYED HIS COMMAND. GOD told Moses to speak to the rock before the Children of Israel. And it will provide water for the Congregation and their animals to drink. But GOD did not tell Moses to hit the Rock. He told Moses to speak to the Rock in front of the People. And it was not Moses and Aaron who brought forth water from the rock for the People and their animals to drink. It was The LORD GOD ALMIGHTY Who miraculously brought the water out of the Rock for His People and their animals to drink. AND THE LORD GOD ALMIGHTY IS YESHUA THE MESSIAH. Therefore, because of their sin, disobeying GOD, The LORD prevented Moses and Aaron from entering the Promised Land. But be sure that Moses is in Heaven because he certainly repented to The LORD of his sin and continued to live his life in obedience to The GOD of Israel. I believe that Aaron repented as well and is in Heaven. OBEDIENCE TO GOD IS SO IMPORTANT. YESHUA THE MESSIAH SAID, MAN SHALL NOT LIVE BY BREAD ALONE BUT BY EVERY WORD THAT PROCEEDS OUT OF THE MOUTH OF GOD. AND JOHN WRITES, IF WE CONFESS OUR SINS, GOD IS FAITHFUL AND JUST TO FORGIVE US OUR SINS, AND CLEANSE US FROM ALL UNRIGHTEOUSNESS. SIN IS DISOBEYING GOD. AND SIN IS DISOBEYING GOD’S LAWS THAT ARE WRITTEN IN THE LAW OF MOSES. AND SIN IS UNRIGHTEOUSNESS. BUT UNFORTUNATELY, AS THE PSALMIST WRITES IN PSALM 2, THE WORLD IS TAUGHT BY ELOQUENT EDUCATED TEACHERS TO DISOBEY GOD, AND DISOBEY HIS SPOKEN WORD IN THE BIBLE. AND THE WORLD IS CLEVERLY TAUGHT BY ELOQUENT TEACHERS TO DISOBEY ALL GOD’S LAWS THAT ARE WRITTEN IN THE LAW OF MOSES. THAT IS WHY JOHN WRITES, THE WHOLE WORLD LIES IN WICKEDNESS. THE SIN OF DISOBEDIENCE TO GOD IS UNRIGHTEOUSNESS 1 JOHN 1.9, 1 JOHN 5.18-19, I JOHN 3.4, MATTHEW 4.4, PSALM 2.1-3. In the past when the Tabernacle was in the wilderness, and later when the Temples were standing in Jerusalem, Moses and Aaron and all the Jewish People had atonement for their sins from the daily animal sacrifice, and the shedding of its’ blood. BUT OF GREAT IMPORTANCE, GOD REQUIRES HIS JEWISH PEOPLE AND ALL NON-JEWISH PEOPLE LIVING AMONG HIS PEOPLE TO CONTINUE TO LIVE THEIR LIVES ACCORDING TO ALL GOD’S LAWS THAT ARE WRITTEN IN THE LAW OF MOSES. OBEYING TORAH, GOD’S LAWS THAT ARE WRITTEN IN THE LAW OF MOSES IN THE FIRST FIVE BOOKS OF THE BIBLE PREVENTS US FROM SINNING AGAINST THE LORD OUR GOD. (ACTS 15.21) THE NEW TESTAMENT TEACHES GENTILES, NON-JEWISH PEOPLE WHO BELIEVE IN THE MESSIAH YESHUA TO GO TO A SYNAGOGUE ON THE SATURDAY SABBATH WHERE THE LAW OF MOSES IS READ AND TAUGHT. AND LEARN IT AND DO IT. And for Gentiles, including Christians to inherit Eternal Life along with GOD’S Chosen People, The Jewish People, non-Jewish people must have Atonement in Messiah Yeshua and follow GOD by living according to every Word, every Law and every Commandment that GOD has spoken to the Jewish People in The Bible. And Yeshua The Messiah is GOD ALMIGHTY, HA SHEM ELOHIM. That is also written. And that is why we are teaching Torah, The Law of Moses every week. To learn what GOD requires of us. For Salvation is of the Jews, Messiah said. There is no other way for Salvation but by obeying all the Words that GOD has spoken to and Commanded the Jewish People in The Bible. Or by blessing the Jewish People and Israel. And then you will inherit Eternal Life. NUMBERS 27.15-17, VERSE 16, THE GOD OF THE SPIRITS OF ALL FLESH MEANS THAT GOD IS THE GOD OF EVERY LIVING THING. GOD BREATHES HIS BREATH, THAT IS HIS SPIRIT OF LIFE INTO EVERY HUMAN BEING, AND INTO EVERY THING THAT LIVES. THE HOLY SPIRIT IS ALSO GOD ALMIGHTY, HA SHEM. HOWEVER THE HOLY SPIRIT HAS A DIFFERENT FUNCTION AND IS GIVEN TO THOSE WHO OBEY GOD. When GOD told Moses that he will soon die and be gathered to his People, Moses asked The LORD to set a man over the Congregation of the Children of Israel to replace him and lead the People under GOD’S Commands. NUMBERS 27.18-19 Unlike the Priesthood, the Leadership of Israel is not inherited. But he or she must be Jewish. And The LORD said to Moses, Take Joshua, a man in whom is the Spirit. I believe GOD meant that Joshua had the Holy Spirit of GOD in him. And lay your hand upon him, The LORD said. THE BIBLE TELLS US VERY PLAINLY HOW TO RECEIVE THE HOLY SPIRIT. And Joshua continued in his Faith by obeying GOD. Obeying Every Word, Every Law, Every Commandment, Teaching and Instruction that GOD Spoke. TODAY WE RECEIVE THE HOLY SPIRIT THE SAME WAY JOSHUA RECEIVED THE HOLY SPIRIT. BY BELIEVING IN GOD WHO IS MESSIAH YESHUA, THE LORD GOD ALMIGHTY, HA SHEM. HAVING FAITH AND TRUSTING IN THE LORD. AND HAVING ATONEMENT FOR OUR SINS IN MESSIAH YESHUA WHO IS GOD ALMIGHTY. AND OBEYING EVERY WORD THAT PROCEEDS OUT OF THE MOUTH OF GOD. OBEYING GOD’S TEACHINGS, HIS INSTRUCTIONS. AND OBEYING ALL GOD’S LAWS THAT ARE WRITTEN IN THE LAW OF MOSES. THAT IS HOW WE RECEIVE THE HOLY SPIRIT, BY OBEYING GOD. GOD GIVES THE HOLY SPIRIT TO THOSE WHO OBEY HIM. NUMBERS 27.20 GOD said to Moses, You shall put some of your honor upon Joshua that all the Congregation of the Children of Israel will be obedient. The Hebrew Word for honor is HOD. HOD or HONOR means Excellency, Majesty, Honor, and Godliness. Of those qualities that Moses possessed, his greatest quality was Godliness. His obedience to The LORD, setting aside his failure at the Rock that produced water. And Joshua possessed that Godliness. And as one Rabbinic commentary says, Joshua was a reflection of Moses’ greatness, but not his equal. NUMBERS 27.21-23 So GOD commanded Moses to have Joshua stand before Eleazar the Priest. And Joshua shall ask for counsel after the judgment of the Urim and Thummim before The LORD. Urim in Hebrew is OOREEM meaning LIGHTS. And Thummim in Hebrew is TOOMEEM meaning PERFECTION. And The LORD said, At Joshua’s word the People shall go out, and at his word they shall come in. Both he and all the Children of Israel with him, even all the Congregation. The People were to do what Joshua commanded them, and Joshua was to do all that GOD commanded him. And Moses did as The LORD said. He took Joshua and set him before Eleazar the Priest, and before all the Congregation. And Moses laid his hands upon him, and commanded him as The LORD had spoken. The man Joshua, whose Hebrew name is Yehoshua meaning Yehovah Saved, was a great man. He was aide to Moses and subsequently his successor as Leader of the Children of Israel. He was an Ephramite from the Tribe of Ephraim. Ephraim was the second son born to Joseph in Egypt. And he was one of the two spies along with Caleb who did not give a bad report about the Land of Canaan that was spied out by the twelve spies. And The LORD promised that Joshua and Caleb would enter the Promised Land. NUMBERS 14.30. And Joshua had an illustrious career after he succeeded Moses in conquering the land of Canaan, and dividing the Land among the Tribes of Israel. And Joshua was honorable. He was upright and just and lawful as The LORD commanded him as GOD had spoken to Moses. Joshua was a great man. Posted on March 5, 2017 March 8, 2017 Categories Shabbat MessageLeave a comment on MOSES LAYS HIS HANDS ON JOSHUA TO BECOME HIS SUCCESSOR.